The Obama administration’s response to the spread of al-Qaida-linked terrorist groups in Africa and the Middle East has been quiet partnerships with local governments and regional actors to enable them to counter the Islamic extremist groups in their own neighborhoods. That “leading from the shadows” counterterrorism model helped African Union forces push al-Shabab out of Somalia’s major cities, empowered French and African forces in dislodging al-Qaida in the Islamic Maghreb from northern Mali last year, and continues to strike heavy blows against the al-Qaida affiliate in Yemen. And yet the Obama administration’s decision this week to rush a counterterrorism “coordination and assessment” team to Nigeria to assist in the hunt for Boko Haram militants, and the more than 200 school girls they have kidnapped, launches one of the riskiest counterterrorism partnerships to date. For weeks after the April 14 mass kidnapping, for instance, Nigerian President Goodluck Jonathan and his prickly government officials seemed almost indifferent to the girls’ desperate plight. The initial police reaction to public protests over government inaction was to arrest the leader of the protest group “Bring Back Our Girls.” The oil-rich country Jonathan leads generates an estimated $100 billion each year in oil revenues, and yet 62 percent of the country’s nearly 170 million people live in extreme poverty. And not only are Nigerian security forces notoriously brutal and uninterested in winning “hearts and minds” to deny the militants local support in the Muslim-majority north, but according to a senior intelligence source, they also lack even rudimentary capabilities such as adequate ammunition for their guns. The Nigerian army’s lack of ammunition in an oil-rich country with a well-armed Islamist insurgency suggests the challenges a U.S. counterterrorism partnership must overcome. 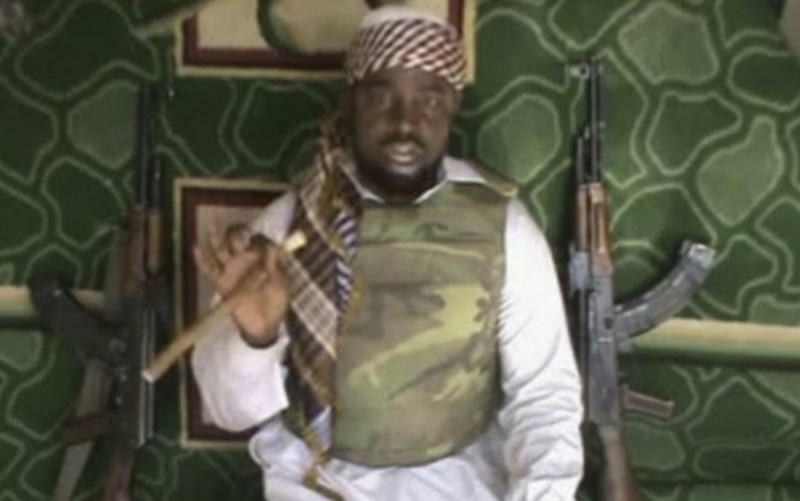 A significant escalation in U.S. efforts to target Boko Haram, however, now seems inevitable. Just last year the State Department for the first time included the Nigerian extremists on its official list of terrorist groups, and the U.S. has placed a $7 million bounty on the head of leader Abubakar Shekau. The mass kidnapping of children, combined with other recent attacks — including a bombing in a bus station in Nigeria’s capital of Abuja that killed more than 70 people last month and a massacre at an open-air market in the northern city of Gamboru Ngala that reportedly killed more than 300 civilians this week — all suggest that Boko Haram has crossed a new threshold of lethality and depravity. That has raised its profile on a U.S. counterterrorism “threat matrix” that was already blinking red on the proliferation of al-Qaida franchises and Islamist extremist groups in Africa. “I’m paid to be concerned about terrorist groups, but there’s no disputing that we’ve seen a rise of al-Qaida affiliates and adherents in Africa and the Middle East that is worrisome, and Boko Haram is definitely one of those groups that share al-Qaida’s ideology and mentality,” said a senior administration official. Many of those groups start out primarily focused on local operations and grievances, the official noted, but in recent years have expanded their terrorist attacks regionally and even internationally. Examples include al-Shabab’s massacre of nearly 70 civilians at the Westgate shopping mall in Nairobi, Kenya, last September; the Algerian al-Qaida in the Islamic Maghreb’s capture of much of northern Mali last year; the Islamic State of Iraq and Syria’s capture of territory in northern Syria and western Iraq in the past year; and three plots on the U.S. homeland by Yemeni-based al-Qaida in the Arabian Peninsula. “We’ve seen that whenever these groups gain a degree of sanctuary in ungoverned spaces and start to build a terrorist infrastructure, then the threat of them launching ‘external’ attacks grows,” said the senior official. With its kidnapping of some 270 school girls and threats to sell them into sexual slavery inside Nigeria and possibly across the border in Cameroon, Niger and Chad, Boko Haram may have crossed that Rubicon. The Islamist group, which began 12 years ago as the “Nigerian Taliban,” has made no secret of its intent to forcibly transform Africa’s most populous country into a fundamentalist Islamist state. Translated from the local Hausa language, its name means “Western education is sin.” Al-Qaida in the Islamic Maghreb reportedly has given money and training to Boko Haram, and in the past the group was in contact with senior al-Qaida leaders in Pakistan, all of which could help explain its growing lethality and ambitions. The attack on the girls’ school has predictably sparked international outrage, leading to pledges of assistance to Nigeria. France has once again offered its help, China is willing to share satellite imagery that might help locate the militants, and Britain has offered its Special Air Service commandos and surveillance aircraft. For its part, the Obama administration is sending a multiagency counterterrorism team that includes FBI hostage negotiators and investigators, intelligence analysts, and up to 10 uniformed personnel from the U.S. Africa Command to assess the military needs of the Nigerian security forces. They have deep experience in partnering with African nations in the fight against Islamist extremists groups. For example, the United States continues to enable African Union forces fighting al-Shabab in Somalia with training by special operations forces, surveillance flights by manned and unmanned spy aircraft, and occasional direct-action strikes such as the assault on an al-Shabab leader’s seaside compound by SEAL Team 6 last October. The U.S. Africa Command likewise backed French and African forces in driving al- Qaida in the Islamic Maghreb out of northern Mali last year, supplying airlift, surveillance flights, refueling support for French aircraft, and training for African soldiers and police. Joint Special Operations Command and CIA direct-action teams continue to assist the government in Yemen in its fight against al-Qaida in the Arabian Peninsula, including a series of strikes by U.S. armed drones that killed 30 suspected AQAP members last month. In addressing the mass abductions from the Nigerian girls' school for the first time this week, President Barack Obama called them “heartbreaking,” and he expressed hope that they would mobilize the international community to “finally do something against this horrendous organization.” Obama spoke not only as the leader of the free world, but also as the father of two young daughters, and at that moment it seemed unlikely that Boko Haram’s outrages would continue to go unanswered.